You don’t have to choose your final career path now. In fact, your school experience and internships will probably guide you in the right direction. However, before you get started with a communications degree program, you should start thinking about which field seems like the best fit for you. Public relations professionals work to help clients improve and monitor their branding. They don’t work on the marketing side of the business, in which clients pay for exposure. Instead, they work to improve a client’s relationship with the media, to obtain media coverage about a client, or to manage crisis communications. Increasingly, thanks to digital technology, companies can reach out directly to customers instead of relying on media coverage. Today, there are 4.6 PR specialists working for every one reporter. The job requires a significant amount of emotional intelligence. You have to delicately manage relationships not only with your clients but also with celebrities and members of the media. It also requires credibility. The more your media contacts trust you, the more likely they are to cover a story for your client. If PR is the coverage you pray for, then marketing is the exposure that you pay for. In marketing, you design campaigns related to TV, print, and digital advertising. In addition to creating a brand identity, it’s your job to market individual products and services. Where PR is mostly based in words, marketing has a strong visual component. If you like to not only write copy but also create visual advertising, you might prefer marketing to PR. Also, if you prefer sales to gentle arm-twisting and finagling for free coverage, you might have more success in marketing. 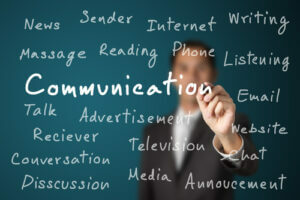 In the same way that digital communications have changed PR, they’ve opened up tremendous possibilities for marketing. Exploring social marketing, mobile marketing, and other digital frontiers opens you up to endless creative possibilities. As a marketer, you need good communications skills, and you also need to interpret numbers and graphs. With so many tools for collecting customer data, marketing has become more quantitatively oriented than ever before. The decline of print newspapers has required journalism to reinvent itself. There are fewer reporters to deliver the volume of content that publications need, and journalists tend to make less than PR and marketing professionals. Journalism, however, provides two things that PR and marketing don’t necessarily give: freedom and the ability to speak truth to power. As a journalist, you can pursue and pitch stories that interest you. You’re beholden to the truth, not to promoting the image and opinions of clients. Journalists still work for magazines, newspapers, and television stations, but they increasingly also work for digital publications. Since so much news breaks over Twitter instead of coming from the newswire, few news organizations will hire journalists who won’t cultivate a social media presence. According to a Pew Research review of data from the U.S. Bureau of Labor Statistics, the number of working reporters has dropped 17 percent over the last decade, and reporter salaries have decreased relative to PR specialists. However, in the best-case scenarios, journalists with name recognition make additional income from writing books, or they anchor their own television programs. Whether you’d prefer PR, marketing, or journalism as a communications graduate depends on your temperament, your income needs, and your preferred media for communication. Also, keep in mind that these aren’t the only career avenues for the communications professional. They just happen to be the most common.